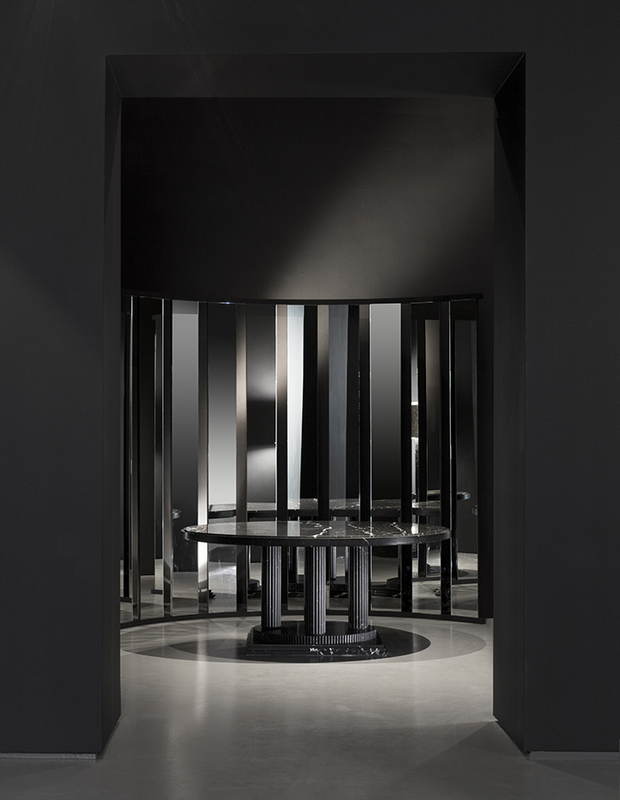 Legendary fashion designer Karl Lagerfeld, perhaps most famous for reviving the house of Chanel, which he has helmed since 1983, is breaking into sculpture in Architectures, an exhibition now on view at Carpenters Workshop Gallery in Paris. 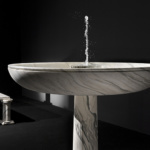 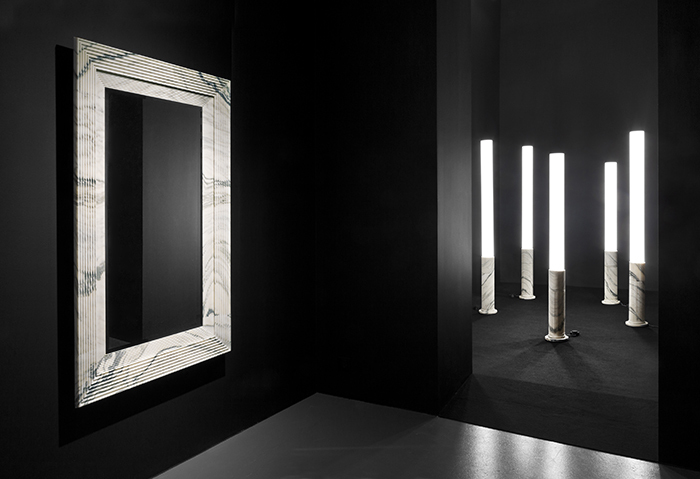 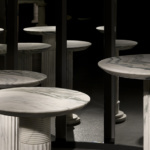 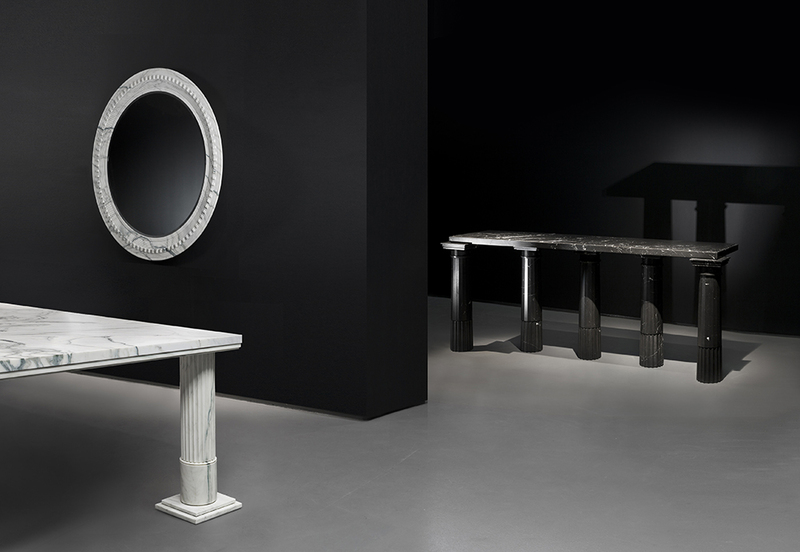 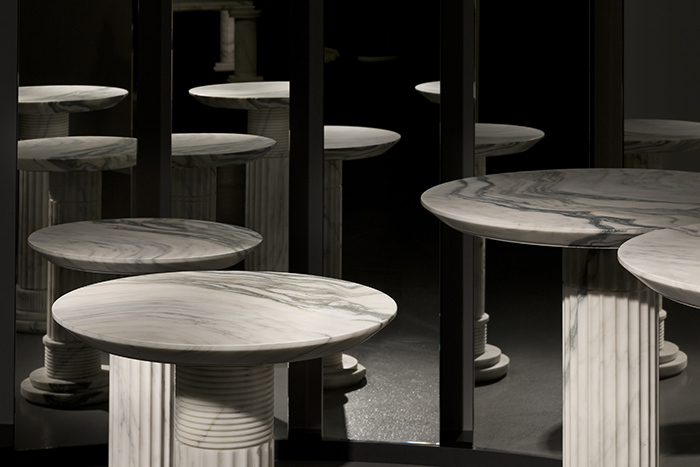 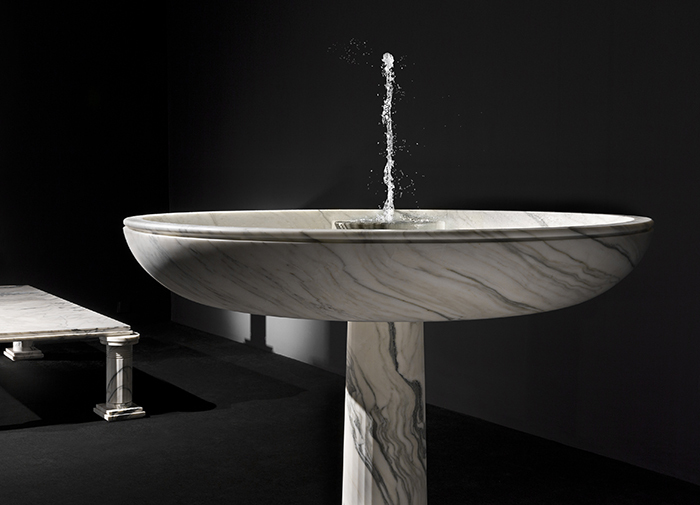 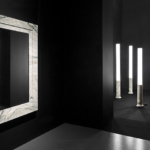 The marble objects—tables, mirrors, lamps, a working fountain—are inspired by the forms from the cityscapes of classical antiquity and were created in collaboration with the architect Aline Asmar d’Amman. 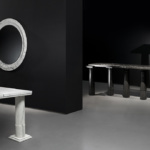 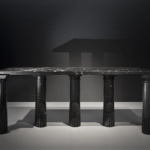 As should be expected from the man behind luxury labels like Fendi and his own eponymous brand, the very limited-edition pieces in Architectures are made from exceptionally fine materials, including white Arabescato Fantastico marble, a variety of the stone that has not been quarried for over thirty years. 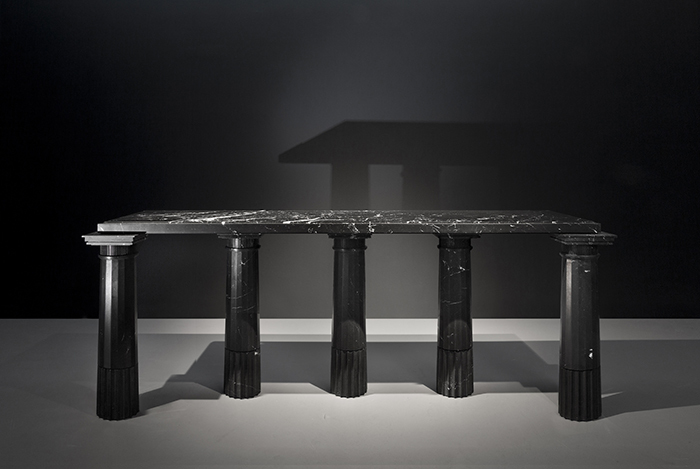 This is not Lagerfeld’s first foray into the world of collectible design—he’s previously worked on a photographic project with Cassina—however this is the first time the designer has created original sculptural objects.